Hyundai recently took the TCR class World Challenge California 8 Hours at Laguna Seca with Bryan Herta Autosport’s i30 N TCR—pictured. The problem with that is that the i30 isn’t sold in the U.S. and Hyundai didn’t gain as much marketing collateral in this market as they would have liked to. 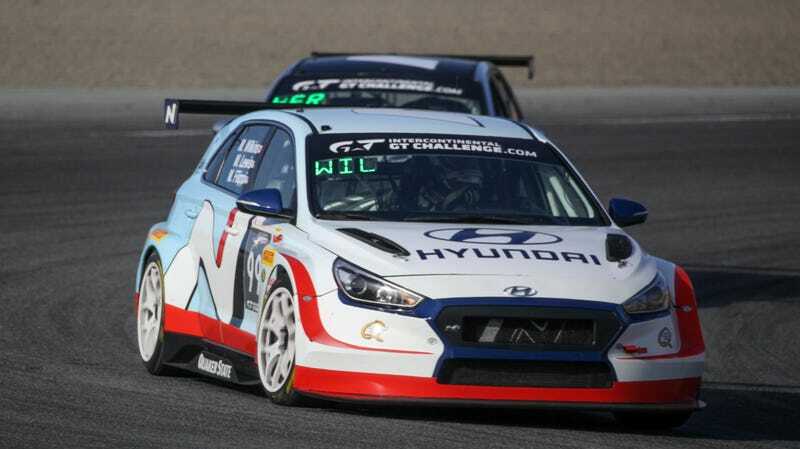 As a result, Hyundai is introducing a completely different homologated car for the TCR class so it (and Bryan Herta Autosport) can run a Veloster N TCR in U.S. market races next year. The base model Veloster starts at $18,500. The Veloster N TCR racer will cost teams about $155,000.